Christ gave everything in order to free us so that we could truly live. In turn, we respond with graciousness and hospitality, giving not because we have to, but because we get to. This God who frees us is also the Creator and true owner of everything. We are simply managers and are called to be intentionally mindful with how we manage God's resources. Highrock believes there are endless ways to give and bless others. There are only so many hours in a day - how is God leading you to use your time? In what ways has God uniquely gifted you? We would like to help you use your time and talents to serve God in the way you were wired to do so. Share your talents by getting involved with a ministry or email info@highrockmalden.org to talk through how you might contribute to God's work at Highrock Malden. 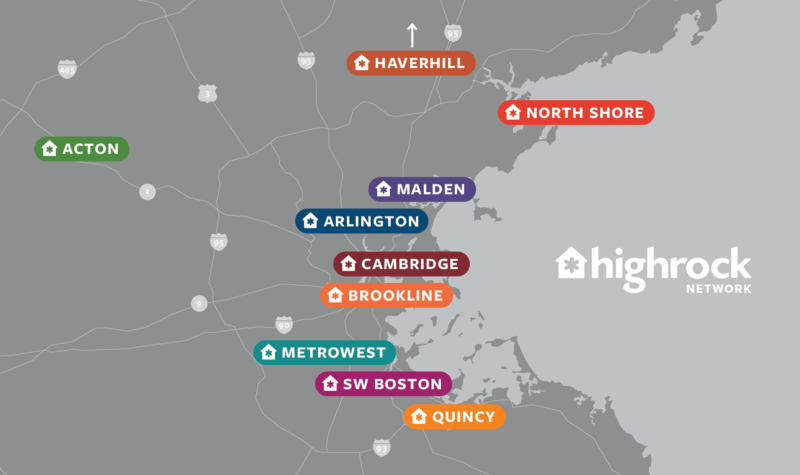 If you’re looking for ways to give financially to Highrock Malden, there are a number of ways to do that. If giving directly through your online bank is not an option, use the Donate button to make a one-time gift or set up a regular donation. We've carefully chosen this service to assist us due to their reputation for safety and minimal costs to the church. Please be aware that we pay a 2.2% fee for every donation made. Tithes and gifts in the form of checks and cash can be given on Sunday mornings during our worship service. Checks can be made out to Highrock Network (Memo: Highrock Malden). Tithes and gifts for Highrock Malden can also be sent to the Highrock Network’s office at 14 Mill Street, Arlington, MA 02476. Thank you for supporting Highrock! MyRock is our secure online platform where you may update your contact information, check your personal giving history, and join ministries and groups. Once you sign up for your free MyRock account, you'll also be able to (if desired) receive the occasional communication from Highrock about events in our community. All are welcome to our weekly English Conversation Classes on Thursdays at 7:30pm.